A few weeks back I was invited down to Shoreditch by Jameson Whiskey for a unique and exclusive whiskey tasting experience. Naturally I didn't need my arm twisted to attend; a bespoke offer to meet the U.K ambassador for Pernod Ricard, Mr Liam Sparks, and to sample a brand new whiskey from Jameson, Caskmates. Other than a few beer festivals and roaming local pubs, this was a first experience for me at a tasting event where I'd get the chance to learn some tricks of the trade and ask questions from someone who had such an extensive knowledge. I found out why certain whiskeys taste like they do - barrels are scorched inside to kill off germs built up after weeks of travelling across the ocean, thus giving that 'smokey' burnt oak flavour you'll find in many whiskeys. 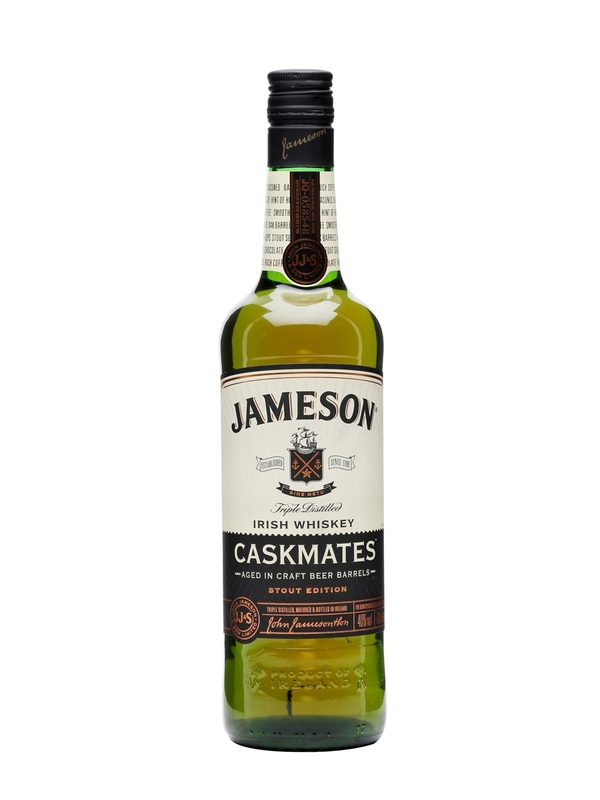 However, my favourite was Jameson's new Caskmates, which had a sweet aftertaste of chocolate and caramel, which I was really quite surprised to discover I liked. This is where I'm gonna have to really try and put down not only how good this new drink is, but also roughly how it's made. I won't go into to much detail, not because I don't want to, but more to make it an easier read and, admittedly after a good amount of whiskey in me, my memory wasn't too kind to me the day after the tasting. Basically, Jameson have done a collaboration with a mirco-brewer called Franciscan Well Brewery, which appropriately happened when the Jameson's Master Distiller and Master of Whiskey Science, Brian Nation and Dave Quinn, and Franciscan Well Head's Brewer, Shane Long, you guessed it... met at a bar in Cork. Long story short, Jameson lent some of their casks to the guys at Franciscan Well Brewery to use for making their Irish Stout for a while. 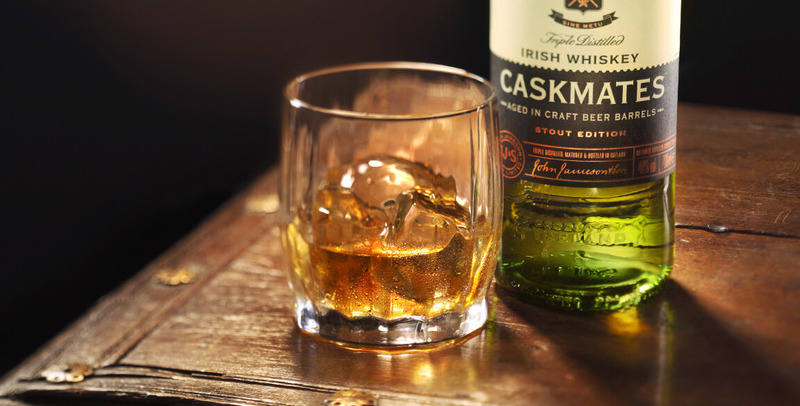 When being to returned to Jameson's Midleton Distillery, the casks were influenced by the Irish Stout, to then be refilled with Jameson's Whiskey. With me? Good. The result (I love it) is really quite incredible. You still get the warm tones you'd expect from your favourite Irish Whiskey, but that's when the distilling process comes in. An after-taste that has been described by many as a whiskey with hints of butterscotch, coffee, and cocoa, mixed with the gentle hint of the hops from the Irish Stout, not to forget the perfect hint of charred, oak barrel. Don't get me wrong this is still a whiskey; it does not taste like a sweet, awful new drink for girls, it is still very much a strong whiskey but with a pleasant hint of the above mentioned flavours. I'm not a professional in the industry of whiskey tasting, or any drink for that matter, but instantly you can appreciate what Caskmates is about here. If you're palette isn't quite up to drinking neat whiskey yet, with Caskmates I'd say you can definitely enjoy it neat over ice, no water required. It's like the edge has been taking off ever so slightly, and been replaced and enjoyable, smooth texture to finish. The idea was for Caskmates to be more versatile; it is ideal for a side kick with a good craft beer as I've now tasted and could not agree more, to be used in cocktails or, as I've mentioned, enjoyed neatly on its own. The whole process is done in an impressive time too, the Jamesons is left in the barrels for about six months to create the perfect flavour and balance. Caskmates is a drink to look out for, very impressive and one for the Gentleman's drinks cabinet indeed. I really enjoyed the evening out learning only a fraction of the world that is whiskey tasting and the distilling process. I'd like to thank Jameson's Whiskey for the invitation, and again Liam and the guys for taking the time to share some of the extensive knowledge between them. You can find out more and order yourself a bottle if you fancy here. I'm hoping to visit Ireland later on this year, definitely to visit the Jameson Distillery and then make a trip up to N.I to see the unique and wonderful Giants Causeway. Any Irish folk out there with recommendations of what I must see? Please let me know. I'd love to hear from you.